LAST GAME 12/22/13: Browns 13 at Jets 24. 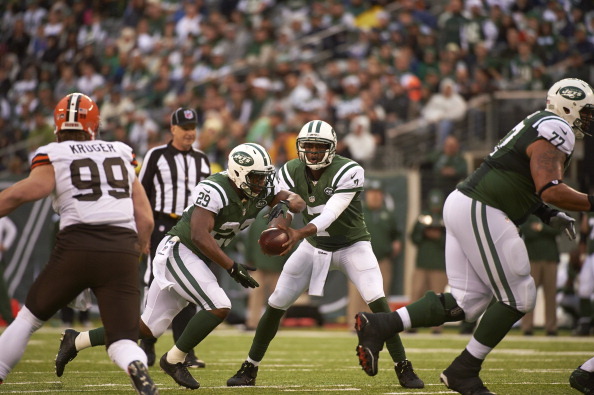 New York QB Geno Smith rushes for TD & throws for 214 yards & 2 TD. Jets RB Chris Ivory rushes for 109 yards on 20 carries (5.5 avg.). BROADCAST CBS (1:00 PM ET): Greg Gumbel, Trent Green, Jamie Erdahl (Field reporter). SIRIUS: 133 (Cle. ), 133 (NYJ). XM: 230 (NYJ). 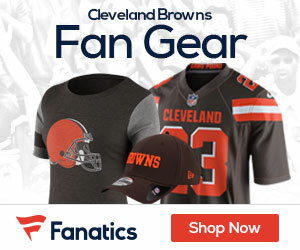 BROWNS: QB JOSH MC COWN has started 49 of 69 career games, passing for 11,033 yards & 61 TDs. Started 11 games last season w/ TB & passed for 2,206 yards & 11 TDs. Has 978 career completions & needs 22 to reach 1,000… RB ISAIAH CROWELL played in all 16 games with 4 starts in 2014 & ranked 2nd among NFL rookies in rush TDs (8) & 5th in rush yards (607)…WR ANDREW HAWKINS led team with career-highs in catches (63) & receiving yards (824) & added 2 TDs in 2014. WR BRIAN HARTLINE makes Browns debut. In 6 seasons with Dolphins (2009-14), posted 298 catches for 4,243 yards & 12 TDs. Needs 2 catches to reach 300 career…T JOE THOMAS is only OL in NFL history to reach Pro Bowl in 8 consecutive seasons to begin career. Has started 128 consecutive games, tied for 2nd-longest active streak among NFL OL…CB TRAMON WILLIAMS makes Browns debut. Since entering NFL in 2007, is only NFL CB with 20+ INTs (20) & 4+ sacks (4.5). S TASHAUN GIPSON led AFC with career-high 6 INTs in 2014. Since entering NFL in 2010, 2-time Pro Bowl CB JOE HADEN leads league with 87 PDs…JETS: QB RYAN FITZPATRICK makes Jets debut. Has started 89 of 97 career games for 5 teams (St.L., Cin., Buf., Ten. & Hou. ), passing for 19,273 yards & 123 TDs. In 2014, started 12 games for Texans & passed for 2,483 yards & 17 TDs with career-best 95.3 rating…RB CHRIS IVORY led team with 821 rush yards on 198 att. (4.1 avg.) & 6 TDs. Rushed for 109 yards in last meeting…WR BRANDON MARSHALL makes NYJ debut. 1 of 3 players in NFL history with 5 100-catch seasons (ANDRE JOHNSON, WES WELKER). Marshall (9,771) needs 229 rec. yards to reach 10,000 career. In only career meeting (12/23/12 with Den. ), WR ERIC DECKER had 6 catches for 65 yards & 2 TDs. TE JEFF CUMBERLAND aims for 3rd in row with TD catch…LB DAVID HARRIS led team with 123 tackles in 2014. Since entering NFL in 2007, is 1 of 3 NFL players with 30+ sacks (30) & 6+ INTs (6) (JULIUS PEPPERS, SHAUN PHILLIPS). Originally chosen by Jets in Rd. 1 of 2007 Draft, 6-time Pro Bowl CB DARRELLE REVIS returns to NYJ after 2 seasons with TB (2013) & NE (2014).